70 years ago, a four year old lad would sneak round the corner whilst at play. The corner was in fact the corner of a concrete yard with disused stables for dray horses then used for storage but also parking under cover for half a dozen lorries. They had bright red livery which attracted the lad as did the large wheels of the trucks – small by today’s standards. He was not supposed to be there, but they inspired him. 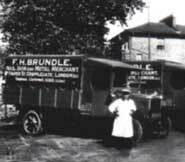 These were the premises of F H Brundle, wire, nail and metals merchants located in Hackney. His grandparents lived there. Grandfather had a head of white hair, but suffered terribly from chronic asthma brought on by working with horses and dust from sacked grain and the like. Grandmother made apple pies on a scrubbed table top every day of the week except Sunday. Memories. The little boy was Shedder Graham. Fast forward to this week. At Kidz Making Good in two weeks time young people will be making push carts (familiar to a ten year old Graham). In Australia they are still popular and go under the name of Billy carts. Making one is a right of passage there. Why not in Whitby? Wheels were ordered for four carts to be made. 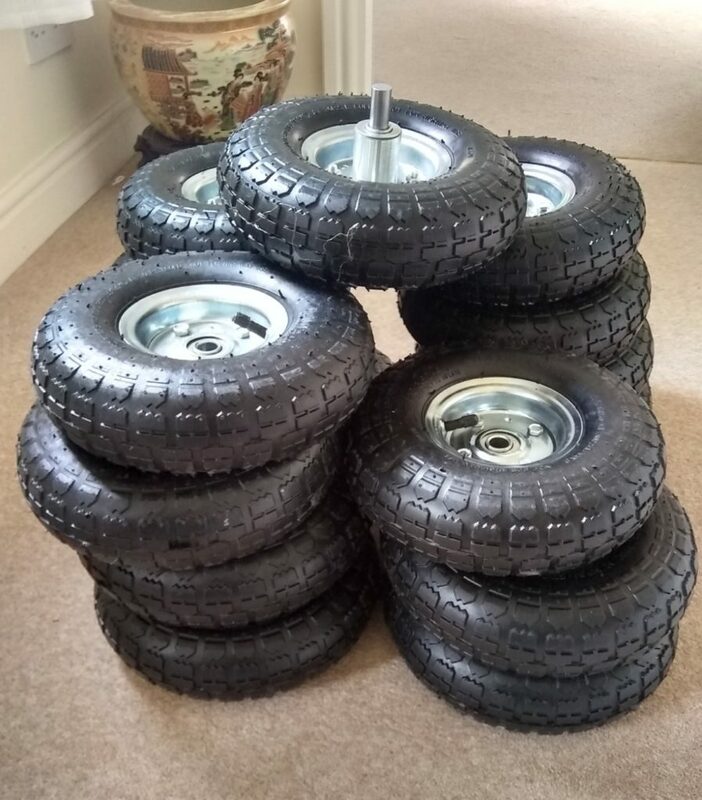 Wheels need axles and so a 73 year old Graham Googled for steel rod 16mm in diameter. Who might supply? Up popped F H Brundle. Now a business in half a dozen UK cities and online. They still have red livery. Back flooded the memories and the feelings of excitement the small boy had. Dreams are what we need. Hopes too. Sheds can do that.